192 pages | 16 B/W Illus. Since the late 1970s, China’s move towards neoliberalism has made it not only one of the world’s fastest growing economies, but also one of the most polarised states. This economic, social and political transformation has led to the emergence of a new Chinese middle class, and understanding the development and the role of this new social group is crucial to understanding contemporary Chinese society. 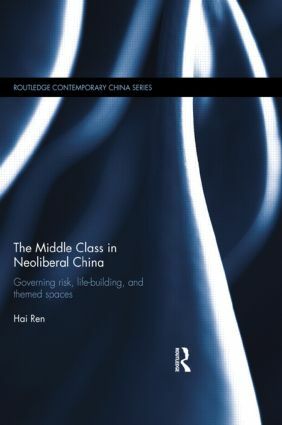 Investigating the new politics of the middle class in China, this book addresses three major questions. First, how does the Chinese state deal with problems of national sovereignty and political representation to create the middle class both as a legitimate category of the people and as an ideal norm of citizenship? Second, how does the recognition of the middle class norm take place in the practice of everyday life? Finally, what kind of risks does the politics of the middle class generate not only for middle class subjects but also for the disenfranchised? In answering these questions, this book examines a set of practices, bodies of knowledge, measures, and institutions that aim to manage, govern, control, and orient the behaviours, gestures, and thoughts of Chinese citizens. This investigation contributes not only to the understanding of the Chinese middle class society but also to the scholarly debate over the relationship between governmental apparatuses, subjectification, and life-building. Drawing on ethnographic information, historical archives, and the media, this book will be of great interest to students and scholars working in the fields of Chinese studies, Chinese politics, ethnic studies and urban studies, as well as those interested in culture, society, class and welfare. Hai Ren is Associate Professor of East Asian Studies and Anthropology at the University of Arizona, USA.